On 26 January there’s Australia Day; yes, it’s come around yet again. So the flags are out and about: they’re being stuck on cars and utes and trucks, they’re hung in shop windows, and they’re sent flapping in front gardens, stating the bleeding obvious, but also as though staking a claim all over again. We do it every year, our national day to commemorate the beginning of British settlement, when Governor Phillip landed at Sydney Cove in 1788. I was born and bred here, my forebears arriving by boat only a handful of years after that adventurous governor. Despite this ancestral longevity, however, and whatever blood I have in my veins, and all my thinking on the topic, I don’t really know this nation of mine; as I age I’m understanding it less and less. So, this summer, this dreadful, pressure-cooked summer, I’ve turned to our writers for assistance, for succour even, because their imagination, observation and skilful way with words are surely better than simply hanging out a flag. Elizabeth Harrower wrote in her novel The Watchtower, which was first published in 1966 but re-released last year by Text Publishing as a bone-fide classic, describes two young sisters who after the death of their father have been relocated to Sydney along with their emotionally constipated mother (who will ditch Australia and return to England). They ran down the steep hill past two- and three-storeyed blocks of flats like their own, and the grey stone church balanced on the incline. Stopping for breath and running again, stopping for traffic and running, their long plaits of hair smacking their backs then curving out ahead, they at last reached the esplanade, the semi-circle of pines and fine yellow sand beyond which there was only the Pacific. If they were uncertain of everything else, they knew this was a boundary. It took them aback. Jolted to a stop, they stared and stared before, in a sense, giving up, looking away, and dropping, stiff-kneed, down the steps to the beach. Oh the beach: that promise, the joy of being outside, the freedom and energy, that church balanced precariously on its incline (but an incline to where, or is it a decline?). But that boundary of which Harrower speaks: it’s always there, always, because islands by definition are bordered on all sides, and borders have boundaries that we don’t want crossed. 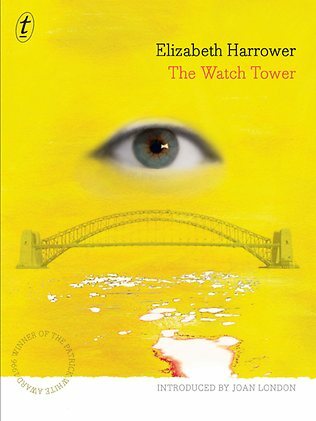 Francesca Rendle-Short, born in Brisbane but now living in Melbourne, has in her first novel, Imago (1996), a woman – ‘a hopeful migrant’ of English origin – and her stuttering husband move south to Canberra, the very definitely inland national capital that was made up from scratch. In 1960, Canberra lay in bits and pieces across the limestone plain either side of the Molonglo River. The newly-wed couple arrived before their luggage on a hot weekend in mid-November, just before the expected cool change. The capital of Australia was bare, dry and brown, mostly paddock, ordered in circles, loops and spirals, and very hot. They were both dizzy and disoriented by the time the taxi stopped in front of a brick house. It was tucked in the side of Mount Ainslie, on a big block, hedged at the front and fenced around the back. Semi-furnished and with modern amenities. Tree seedlings waiting in the shed were wrapped in damp newspaper and bound with green garden string: the makings of a garden, given ten or more years. Here, in Rendle-Short’s words, we have Canberra, Australia’s newest city, barely managing to rise up out of the dust and become what it needs to be: a place for politics and power and, one hopes, vision. But what optimism there is in those seedlings, a garden that might one day be! Then again, there’s the displacement of the heat, the embarrassment and confusion and uncertainty. In this country, there’s always something lurking just around the corner. Marion Halligan was born and raised in the industrial seaside town of Newcastle in New South Wales but has lived most of her adult life in Canberra. 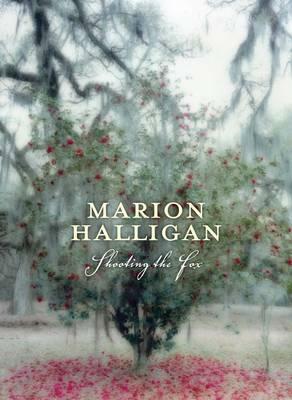 In her short story ‘Letters to Eden’ from the collection Shooting the Fox (2011), Halligan cheekily reimagines her capital city as being one that was designed for the coast two hours drive east. I should tell you, Eden is a planned capital, a willed city, its site chosen; built as a result of a competition in the early years of last century. It has a fine harbour, one of the deepest in the world. The Australians are a sea-regarded people, so this siting on the coast was important to them. So was establishing it in a place that was neither Sydney nor Melbourne – the capitals of two of the original colonies that federated to form the new country – but halfway between the two. The wife of the man who won the competition was responsible for the idea of the buildings; she drew them fastidiously on gold silk, and part of their beauty is their femaleness: a lot of breast-like cupolas and fine delicate lines in even the most grand of civic buildings. They are open and welcoming and at the same time sheltering. There are colonnades, and most marvellous narrow canals – somewhat Moorish, I venture – feeding into pools of water, both a delight in this severely hot weather which I am growing to love. I saw myself always as the happy native of chilly climes but this sun is seductive, especially observed from the cool shade of the sea-breezy colonnades. Despite the fact that Halligan has shifted the capital as though it’s all just a dream, she draws us in to her ideal. Does she want to heal us? I hope so. Heal us with the sensuality of heat, of breeze, of medicinal saltwater. Heal us with the comfort of the mother-capital, the openness, the sense of welcome, the sheltering; we need that comfort, we do, we need that shelter. lies awake, tosses and turns. It feels like the walls and ceiling of the room are closing in, the vegetation outside her room is growing so fast it’s coming in through the cracks and under the door to choke [her]. dug in its heels, and said no, ‘…we’re different, we’re not like those people down south’. So in the swift-as-swift vegetation we have nature doing its best to get rid of us, perhaps even snuff us right out; in that sub-tropical commitment to difference, we have the forging of a sun-stroked conservatism no matter what. No wonder they say that federal elections in this country are fought and won in ‘God’s own country’ – Queensland. But it’s not a place for me. In search for cooler and more open-minded climes, we head all the way south to Melbourne, which has, it has to be said, always prided itself on being a chip off old Europe’s block – in this city are bell-ringing trams and people who wear black from neck to toe and multicoloured teapot-cover-like hats on their heads and barrack for a kind of football game that makes no sense, none whatsoever. But there’s poetry down there, and plenty of it. 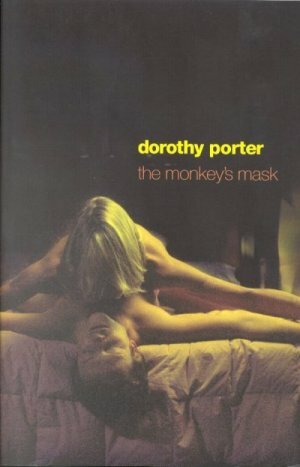 Dorothy Porter (1954–2008), an electrifying magician of words if there ever was one, was born in Sydney and spent some time in the wild, craggy Blue Mountains immediately west of that city, but moved to Victoria for love. 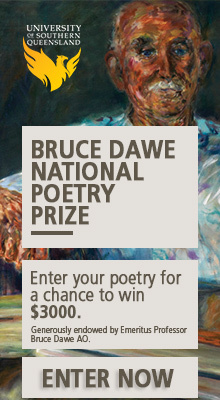 She was famous for her verse-novels, especially The Monkey’s Mask (1994); but in the astronomically infused Wild Surmise (2002), she writes in the poem ‘Melbourne coffee shops’ about the rivalry that exists between Australia’s two biggest cities and seeps beneath the skin of her madly, frantically in-love main characters. Alex is a Sydney girl. Let Alex hunger for the harbour. against the cold driving wet. If Brisbane is suffocation, in Porter’s Melbourne we have the pervy pleasure of inner-city streets, the rush of coffee on every corner, but weather that can turn bad in a bat of an eyelid, sending all for jumpers and jackets. And we have that ‘shallow restlessness’ of Sydney; as someone who spent the first eighteen years of his life in that sprawling, selfish, incessantly driven metropolis, I can hand-on-heart vouch for the truth in those two words. Andrea Goldsmith, Dorothy Porter’s partner, is a novelist some reviewers like to say should be much better known, and for good reason. In Reunion (2009) Goldsmith writes expertly about the multi-webbed lives of intellectual Australians who have been around the globe and come back to Melbourne to tell their tales. Jack dawdled along the path by the river. Night had already fallen but the area was well lit; in fact, all of the city was lit up these days. The temperature had plummeted and his hands ached with cold, but he was in no hurry: a large cocktail party, much less one in which he was on display, was simply not his scene. He checked his watch and continued on his way. Renovated to the far respectable ‘precinct’, this area on the north side of the river had been the domain of derelicts when he was a student, a rat-infested corridor of the city reeking of menace and bad reputation. The contemporary upgrade was now busy with suited pedestrians wearing trainers, and home-bound joggers with their work life crammed into backpacks. There was a vigour and prosperity about both the people and the area, and a youthfulness too, which by the very fact he noticed it made him uncomfortable: he had not realised he had reached that stage of maturation when youth is viewed as other, as not yourself. Seeing Melbourne from Goldsmith’s character’s perspective, we have the fading of the original urban dream, but also a sense of renewal, a new youth perhaps, though clearly not for this Jack of hers, one of the most memorable characters in the book. But what do these words say about my country? That our man-made places are in a constant state of flux? That we’re fond of reinvention, which seems to suggest that we’re not sure of ourselves, of what we’ve been and where we’re going? Yes, I think it does say these things. The road west humped across ancient floodplains, making for slow going on corrugations through sand drifts. Up ahead a purple cloud hung in an empty sky. Most strange: it wandered north and south as Veronica tightened a handkerchief over her mouth and raised an umbrella against the naked heat. They crept forward, the motorbike steering crabwise in the dust. Sand trickled into Colts’s boots and the front forks flummoxed in ruts. At some point the cloud made a decision, packed itself into an anvil shape, turned thick blue, swelled. Up ahead a wall of rain descended with a perfect sheen and roaring, and they couldn’t run or retreat as it approach with its arms out. Ah yes, the ominousness of the interior, but also the comfort in those meteorological arms – rain, or the spectacle of lightning and thunder, or just cooler weather, always cooler weather heading for us, we hope. We’re obsessed with the sky and the weather it brings: everything hinges on how hot or cool or wet or windy it’s going to be. Tim Winton, infamously West Australian, that faraway sandy state which reckons its capital Perth is the most isolated city in the world, is a master at exploring the Australian place and the Australian personality, even if the personality of his version of Australia concerns broken men in love with tough-as-guts women, boats all about, a passionate love of fishing and the shadowy risk and restlessness of the ocean. In The Riders (1994), largely written in Paris and set in Ireland, Winton has his main-man Scully waiting for a wife and young daughter who may or may not be turning up. Beach and wind and heat and a flying middle-finger to ancient history – it may well be that this is all we’ve got. It’s not much. Nam Le, born in Vietnam but grew up in Melbourne, has thus far published just one book, the much-praised The Boat (2008), a diverse collection of short stories set in Australia and elsewhere. In the title story, which follows a group of ‘boat people’ from Vietnam as they try to reach the promise land they think Australia might be, Le writes of one of those onboard and her grief-stricken love for someone who hasn’t survived the voyage that’s not yet over. As though this were an order, Mai took Quyen’s arm and led her the full span of the boat to the prow. Again, the crowd parted for them. They stood together in silence, the spray moistening their faces as they looked forward, focussing all their sight and thought on that blurry peninsula ahead, that impossible place, so that they would not be forced to behold the men at the back of the boat peeling the blanket off, swinging the small body once, twice, three times before letting go, tossing him as far behind the boat as possible so he could be out of sight when the sharks attacked. That blurry peninsula ahead; that impossible place; those sharks. What perils await those who dare to dream of a better life. A better life here where I live, am so lucky to live. We should, I suggest, always be cautious of someone who insists on turning to the Indigenous voice for the definitive statement about what it means to be Australian – if anything, contemporary Australia is many things to many people, some of which is worth savouring, some of which is worth running from or, at least, trying to get a handle on; we’re a nation of layers upon layers upon layers – but I can’t think of a better way to leave this brief survey of place and identity than with a grab from Aboriginal writer Jennifer A Martiniello. In an excerpt from an essay collected in an anthology called The Invisible Thread (2012), published to celebrate the work of writers who’ve called the national capital home, Martiniello talks about language and story and emptiness. I could tell you about growing up in a voided place. What it is like as a child to be an echo, a resonance of something unnamed in the silence. I could tell you about my grandmother’s and my father’s first three languages – Alyerntarrpe, Pertame, Arrernte – and about my own eliminative reduction to one, English. My father’s fourth language, and the supreme evidence of colonial obsession with an abstracted literacy that could not read the forms and expressions of our multiple literacies. I could show you the void of two hundred blank white pages of history unmarked with the black ink of our lives, or tell you about how the lapse of meaning between languages in translation is the chasm that opens up in the same occupied territory, such as 26 January, Survival Day. Here I’m stuck on those final two words: Survival Day. Is it true that the only rational conclusion that can be made is that bits of my country are good, that bits of my country aren’t so good, that there is mystery and myth here, that there is no single brain that can understand this Australia, the one that’s been made and will continue to be made and possibly unmade into something that doesn’t yet exist? Yes, it’s true that this is my conclusion. Though, of course, it’s also a beginning, as many of this nation’s most creative writers hint at in the selected passages above. It’s not much, but it’s more – much more – than the emptiness – the horrendous emptiness – that can be found at the supposed celebratory times like this when flags are draped and dragged and flapped through the streets of our cities and towns. Permission to quote ‘Melbourne coffee shops’ from Dorothy Porter’s Wild Surmise (Picador, 2002) granted by the Estate of Dorothy Porter. Wonderful, wonderful article Nigel in which you’ve quoted many books I’ve read and loved, and a couple I haven’t. I’m currently reading Moorhouse’s Cold light set, as you probably know in Canberra – still 1950 but I’m not sure how far past that it goes. Anyhow, it’s a Canberra still very much in the making, still trying to invent itself at a time when most of the inhabitants seem to be there (here) under duress. It’s interesting contemplating how far the city has come – and whether it really has imprinted itself effectively, appropriately, on the nation’s consciousness. I’ve particularly enjoyed some of the discussion about the “femaleness” of the design – the curvy lake for example, and the city hugging hills – so I liked Marion Halligan’s quote … I still have to read that book. But most I love Martiniello’s line: “I could show you the void of two hundred blank white pages of history unmarked with the black ink of our lives”. It’s hard to celebrated Australia Day in these circumstances but, as you say there are many Australias, and they are worth celebrating but in context (if that makes sense). Thanks Sue. It’s interesting to talk about Canberra in this context, isn’t it. As Robyn Archer, as the Creative Director of the Centenary of Canberra, says, Canberra is the place of a nation’s dreams and ideals and aspirations. Some – many? – would scoff at this, but I do think she’s right. There’s an openness there, and a long-standing progressiveness (though it has to be said that the Capital isn’t without its faults and problems). But does it, in a practical sense, truly represent the rest of Australia, as in is it a microcosm? For someone who lived there for 25 years until relatively recently and now lives in regional NSW, I’m not so sure. But I do like thinking of the ACT as the place that’s subtlety showing us the way. Though in reality, of course, it’s our creative writers who are really showing the way!